Good morning friends, I hope everyone's week is off to a great start! Today, lets talk about how far athleisure has come. 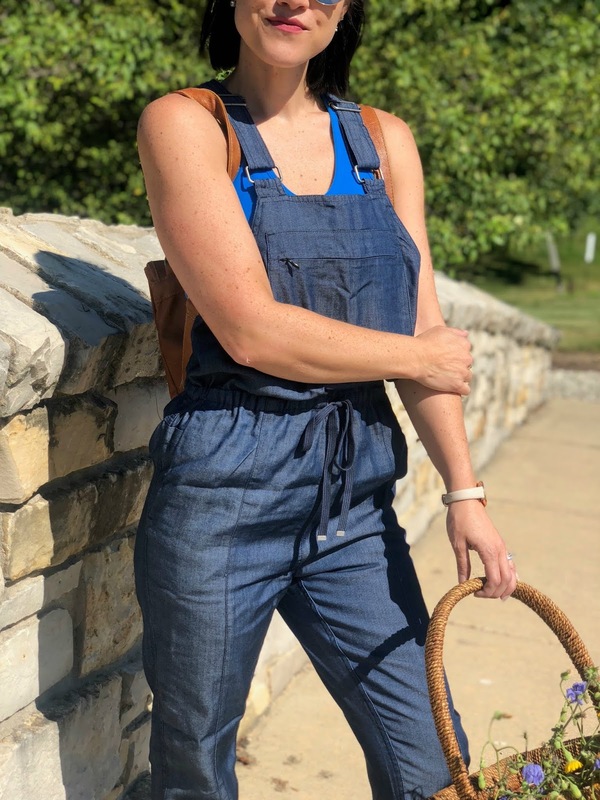 I mean, the fact that these chambray overalls are made with breathable fabric that have cooling properties to keep you dry is amazing. 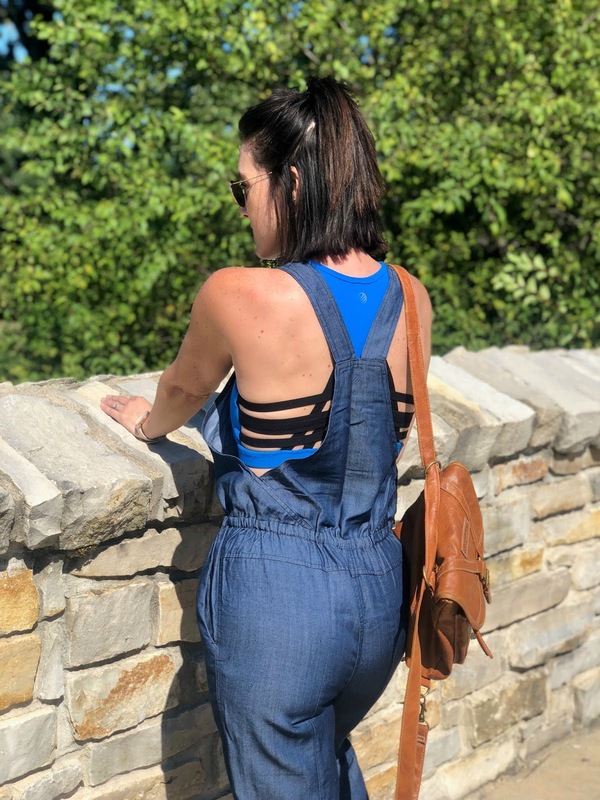 In my opinion, as recent as a few years ago the athleisure options where yoga pants paired with tops and cardigans, but now the options are endless. (Or maybe that was my perception of it....but I digress.) 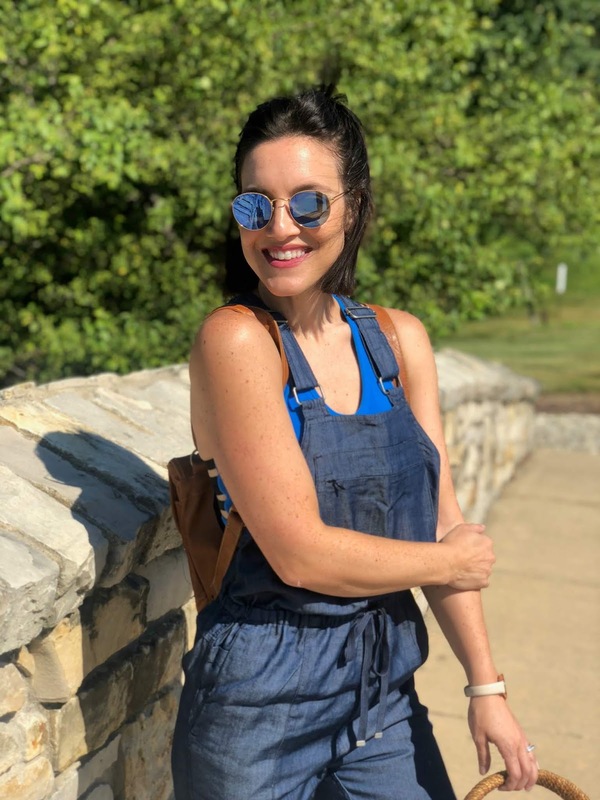 Not only do we now have more options, but we also can choose to wear styles that are playful, youthful, and functional. Now that's something I can get behind and use in real life. This outfit is the cutest! 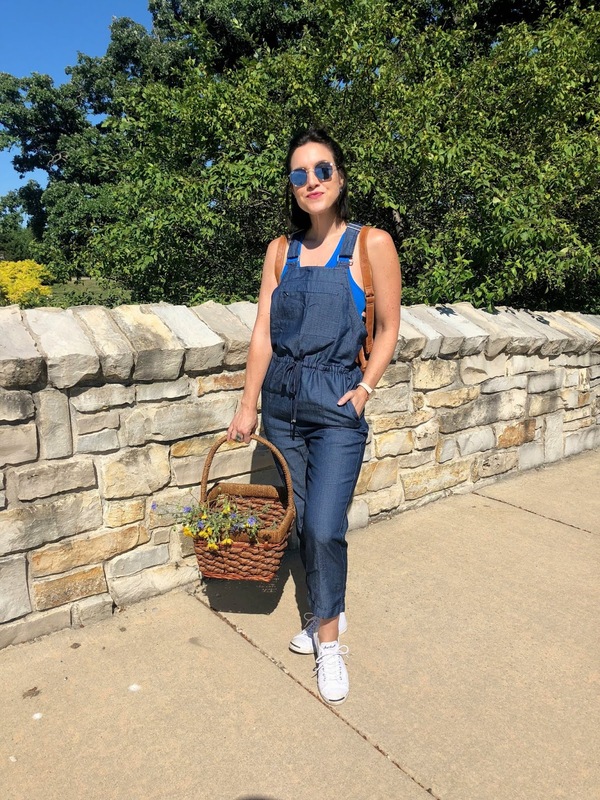 I felt put together yet still able to go from running errands to playing with the kiddos in it. 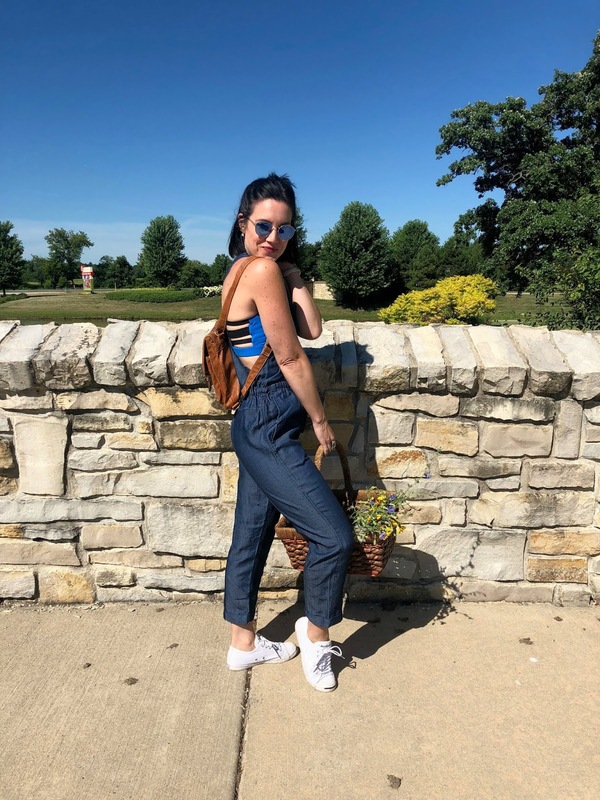 I have to say, both the overalls and the sports bra are fast favorites. 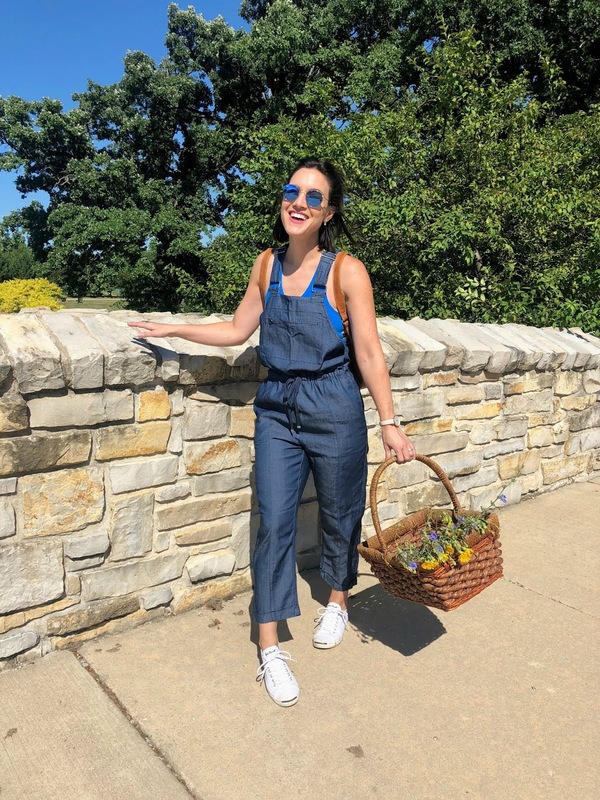 Oh, just a heads up, these overalls are selling out fast and currently on sale for $47! Speaking of sales, the sports bra I'm wearing is only $33 and comes in five colors. Ladies, did you see the back of it? Gush! The strappy elastic totally makes a statement and that statement is "everyone ask me where I'm from". ;) Seriously though, I think over ten people asked me the first day I wore it out. 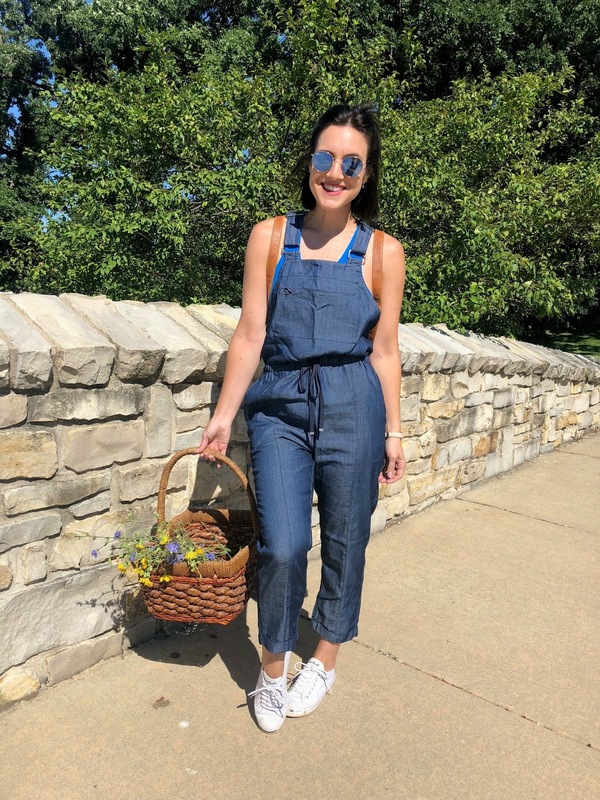 I love those overalls! They are so unique and look very comfortable!